When Buddha, after many years of sitting and meditating under the Bodhi tree, finally achieved Supreme and Ultimate Enlightenment, his followers all kept pestering him, “Master, master, please, PLEASE tell us… Just exactly what IS this Supreme and Ultimate Enlightenment?” Buddha just laughed at their folly and their laziness, “Go and find out for yourselves!” he cried. “Thank you Master! Oh! Thank you Master!” the followers all cried, and started to shower the Buddha with all kinds of gifts… Day after day they brought their master lots of delicious foods including all manner of cakes and lollies. Many of them even gave him money; even though they were all very, very poor… They were so happy now they had a church which gave them a path to Supreme and Ultimate Enlightenment! But after a while, as a result of all that extra tucker, the Buddha found that whereas he’d always been a fairly lean sort of bloke, he’d grown remarkably fat as a result of all the extra food. So to get a bit of exercise, he walked off, laughing… all the way to the bank! 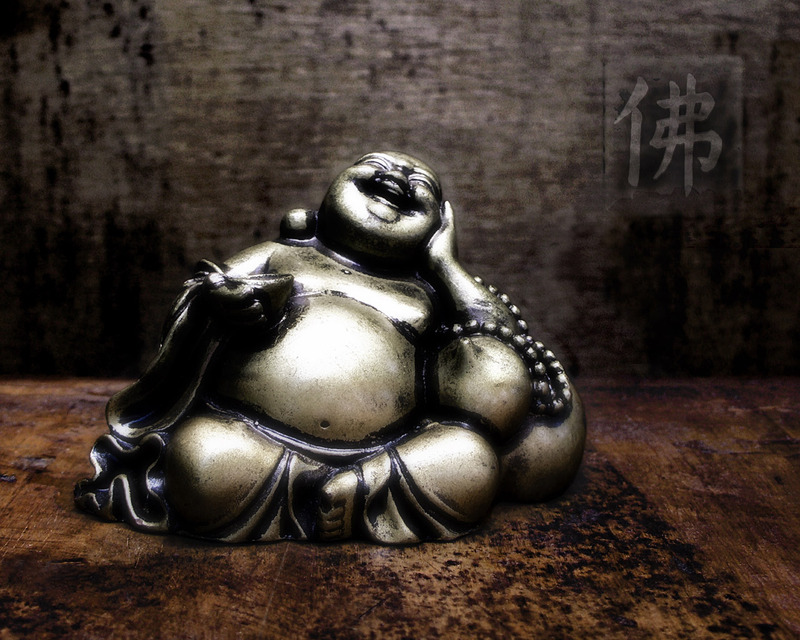 Then he decided he needed a holiday, so he travelled to China, where the people admired this jolly fat man and his sense of humour so much that they called him the ‘Happy Buddha’. About a Post a Week!